The Lord wants to do great and wonderful things in your life. His promise to you is a promise of blessings. His own desire and character is such that He chooses to bless us. 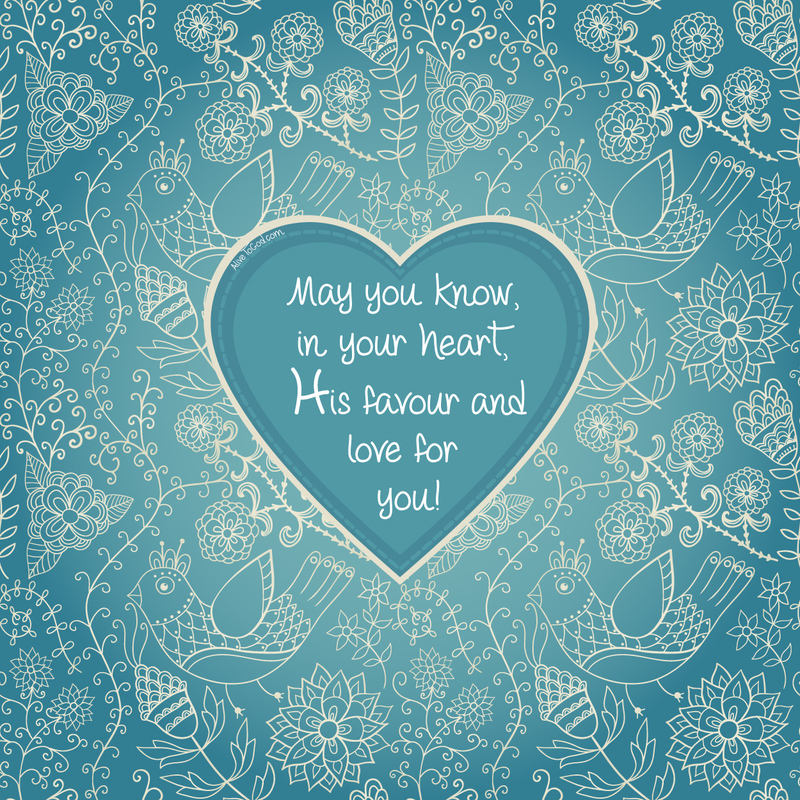 May you know, in your heart, His favour and love for you! Prayer: Lord, thank You for Your great promises and for the fact that You want to do great things in and through me. Amen. Die Here will groot en wonderlike dinge in jou lewe doen. Sy belofte aan jou is ‘n belofte van seën. Sy eie begeerte en karakter is so dat Hy kies om ons te seën. Mag jy, in jou hart, Sy guns en liefde vir jou, ken! Gebed: Vader, dankie vir U groot beloftes en vir die feit dat U groot dinge in en deur my wil doen. Amen. El Señor quiere hacer cosas grandes y maravillosas en tu vida. Su promesa para ti, es una promesa de bendiciones. Su propio deseo y Su carácter es tal que elige bendecirnos. ¡Que conozcas en tu corazón Su favor y Su amor para ti! Oración: Señor, gracias por Tus grandes promesas y por el hecho de que quieres hacer grandes cosas en mi vida y a través de mí. Amén.